The super warm and cozy puck bag will add fun to any outing! 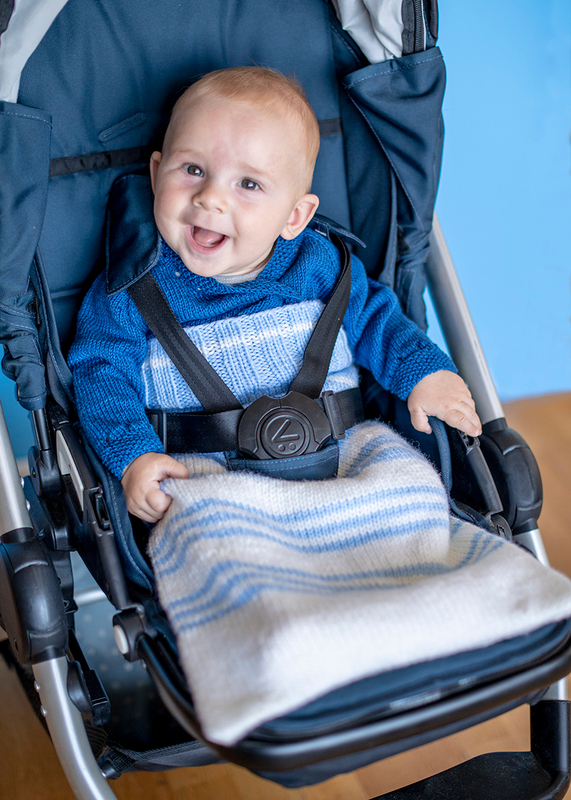 And you will also enjoy the knitting: knitted in rounds top-down, the bag is worked in Baby Smiles Bravo 100 (100% Polyacrylic) in two colors. First you knit a wide cuff in a rib pattern, followed by stripes in stockinette with increases to shape the bag. Two side slits for the straps hold the bag in place in the buggy. To finish, just close the lower seam and then you´re ready to venture outside. The finished puck bag is approx. 64 cm (25") wide and 54 cm (21") long.